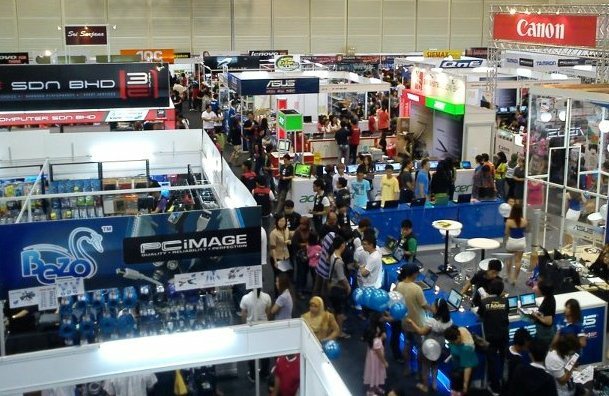 The annual Kuching PIKOM PC Fair started yesterday with thousands driving in to the Borneo Convention Centre Kuching (BCCK), some 10 minutes away from the city centre. The fair starts at 11AM on the first day, despite posters saying it begins at 10AM. 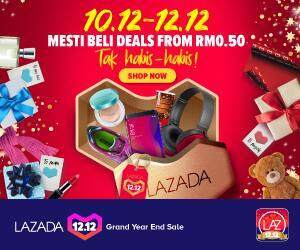 The fair which offers gadget lovers a glimpse of the latest computer related products has finally moved from it’s old venue, the PERMATA Exhibition Centre in the city centre. Apart from displaying the latest computer gadgets, the fair alaso becomes a place to get computer products at a discount. A quick interview with some that came was happy with the spacious new venue for the PC Fair, but had some reservations over the lack of proper parking outside. The PIKOM PC Fair only happens once in Kuching, with the other two so called ‘PC fairs’ being organized by the Kuching Computer Business Association (KBCA). The PIKOM PC Fair will end tomorrow, 8th April 2012. Photo above taken by BCCK.